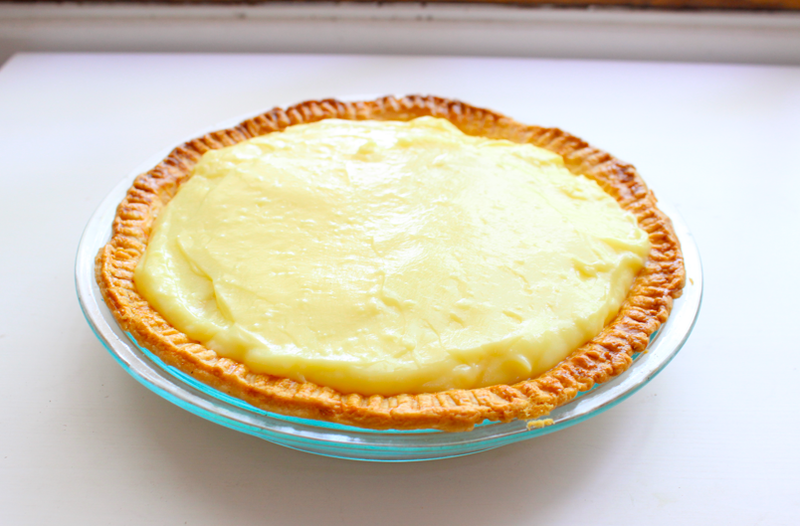 One of my favorite pies I love to eat is banana cream pie. So amazing. But I usually go a buy a piece and don't usually make it. I usually do banana cream mini pie cups, and then I thought, "just make a whole pie!" I think it's just pure laziness since there are a few steps to pie usually. The recipe I use is from my good friend, Martha. Martha Stewart, that is. For the recipe, go here. For the pie crust, I didn't do the one I wanted to, but this crust worked just fine. Or you can also buy one! 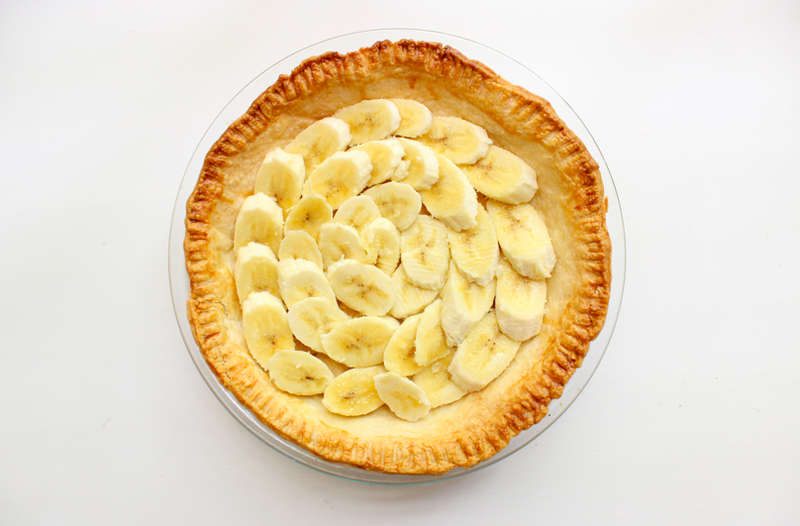 Once the pie cools, I like to layer the bottom with a lot of banana. I made the filling and let it cool before I layered it on top of the bananas. Looks like it's full now, but the good thing about banana cream pie it that thick ain't a bad thing. And layer that baby up! I added another layer of whipped cream. Some people like to layer the banana after the filling, and like the whipped cream at the end. I would suggest that if you will be eating in a couple days time. But if you're going to eat it now and serve it many at once, I say add banana for extra decor on top of the whipped cream. You can do long banana slices like I did or rounds. 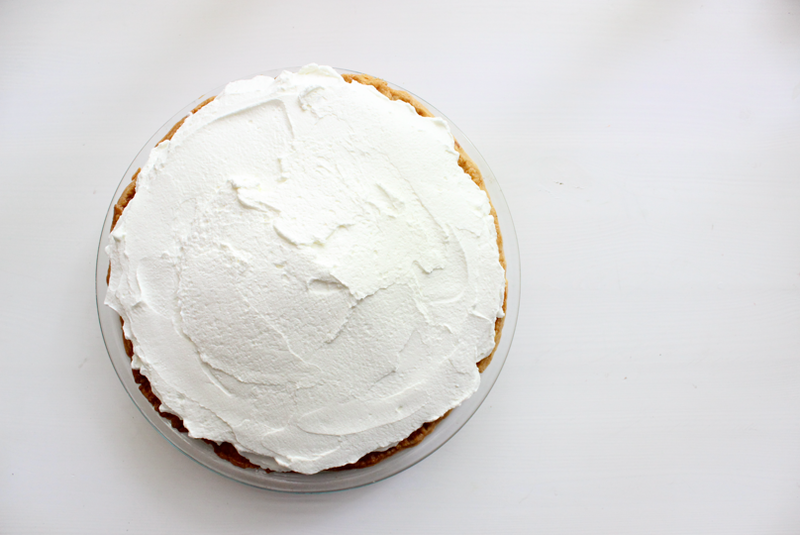 The way the banana cream pie is decorated is all up to you! But make sure to add the banana right before serving so the banana doesn't brown. 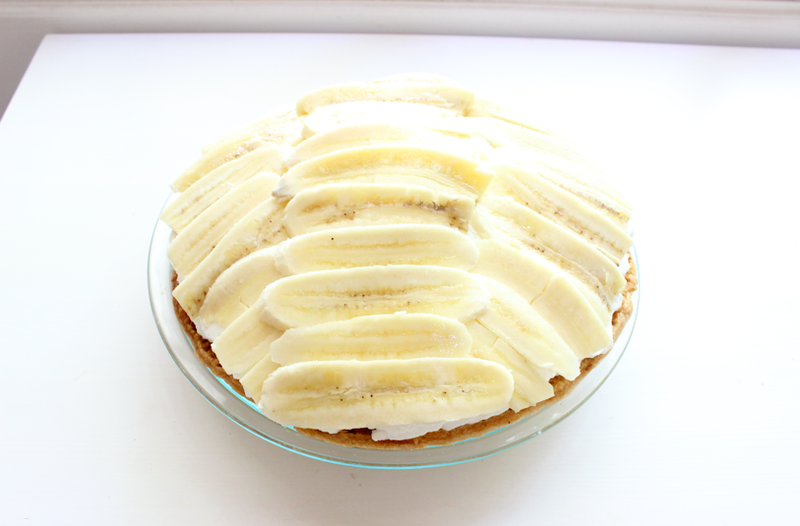 And there you have it, a banana cream pie! Enjoy!